Learning and Sharing with Ms. Lirenman: Thanks Shawn, Faige, and Victoria! A little more about me. Thanks Shawn, Faige, and Victoria! A little more about me. Within ten or so days of being tagged by my dear friend Tia Henriksen, I was tagged three more times by Shawn Davids, Faige Meller, and Victoria Olson. Since I've done this once already I figured I could mix it up a bit. I will share ten more facts about myself, but I will pick and choose which five questions I'll answer. Of course you can always read my previous post and learn even more about me. I won't be tagging anyone else either but if you'd like to tell me about yourself I'd love to read about it on your blog. I must admit it has been a lot of fun learning more about so many of the people I highly respect on Twitter. 1. I grew up the middle child of five. I have two older brothers and two younger (twin) sisters. From oldest to youngest there is a 5.5 year age gap, total. Yes, I grew up in a very busy household and I can't imagine anything else. 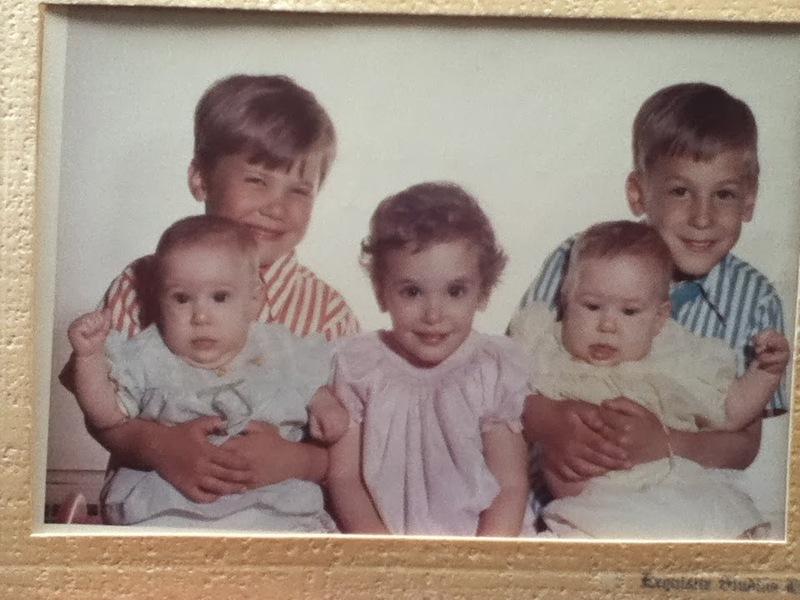 Me in the middle with my older brothers and younger sisters. 2. Being the middle child of five I am extremely independent. It is one of my greatest strengths and one of my biggest weaknesses. 3. I love to travel. So far I have visited over 20 countries but I have way more of the world to see. I rarely go back to the same place twice. Not never, but rarely. Australia is always calling me back. 4. When I applied to go to university becoming a teacher was never my reason why. Now that I'm in my 22nd year of teaching I can't imagine doing anything else. 5. As a child growing up Friday nights were chicken dinner for Shabbat, Saturday nights were "kids fend for themselves", and Sundays we went out to eat. To this day I still have dinner with my dad on most Sunday nights. My father and I when he visited me in Australia. 6. I rarely buy lottery tickets. I learned a long time ago to appreciate what I have instead of chasing what I don't have. I have so much to be thankful for already. 7. I am extremely blessed in the friendship department. 8. I lost both of my grandparents on my father's side within 48 hours of each other. A true love story but a very sad time for those of us left behind. Last spring I also lost both my aunt (mom's sister), and my uncle (dad's brother) within six days. Another very sad time in my life. 9. I make an effort to see the good in every thing around me. If you've ever received an e-mail from me you'll know that my signature line is, "There is good all around you - you just have to see it". 10. When I purchased my first car I could not drive it because it was a stick shift. Obviously I learned, quickly, and to this day all my cars have been stick shifts. The inside of my present car. 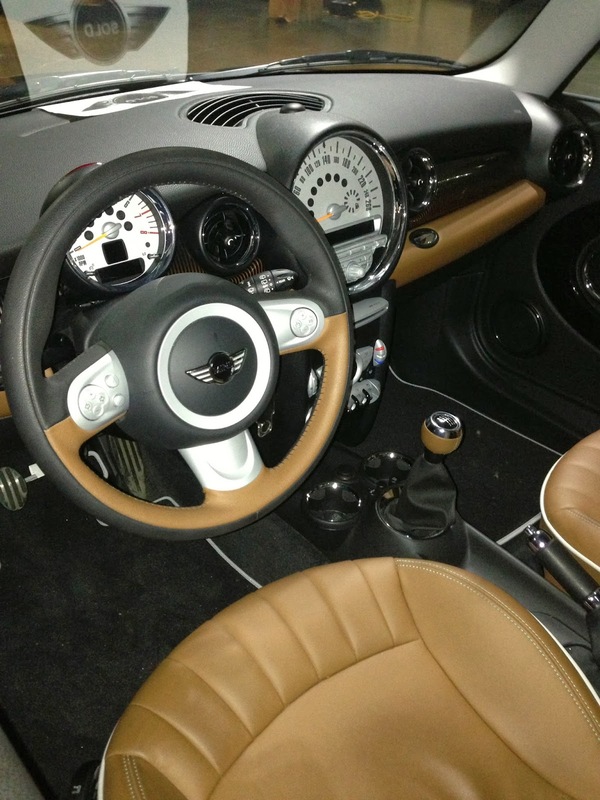 I love my Mini Cooper S, Mayfair Edition. Here are some of the questions asked by Shawn, Faige, and Victoria and my answers too. Smooth, always. My stomach has a lot of trouble breaking down peanuts. Smooth solves so many of those problems. 2. If you could sit down for one hour (or day) with any person, past or present, who would it be and why? That's easy, my mom. I lost her far too young and I still have so many questions for her. 3. What's one of the scariest things you've ever done? Leaving all my friends and family and moving to Australia by myself for a year where I knew NO ONE. Best year ever pushing boundaries and once again realizing I CAN do anything I set my mind to. 4. What would you redo if you could? I would have gone away for my post secondary education straight from high school. At the time I took the safe road which is the one regret I have. Now a days I rarely take the safe route. I now know I'm a lot stronger than I ever realized. 5. What is your favourite day of the year and what do you spend it doing? Growing up, with out a doubt, my birthday was my favourite day of the year. It was the one day of the year where I was noticed and made to feel extra special. To this day my birthday is a favourite day of mine. Now a days I try to get outside and into nature on my birthday. A birthday hike with friends is one of my favourite ways to spend the day. Thanks Shawn, Faige, and Victoria for sharing little bit of yourself with me, and for pushing me to share a little more. Here are a couple bonus facts. Unlike the rest of my immediate family, I do not have blue eyes, nor do I wear corrective glasses or contact lenses. My sisters have since had eye surgery but there was a time when they had to wear glasses or contacts. Me, never or at least not yet. Loved learning more about you. You are quite amazing and inspire me in so many ways. Enjoyed the pictures you included. Interesting how being a middle child can make one independent. I experienced the same. Also, have traveled widely (40+ countries) and lived abroad. Unlike you, I enjoy returning to places; there are always spots in a country to see that I missed on a former visit. For instance, been to France, Italy, and England several times, and still feel like I want to get back to see more. Can also say the same about where you live. Been to Vancouver and want to return. Also, have been to Vancouver Island, and hope to get back there. Thanks for sharing all of this background about you. This project helps us to get to know those we communicate with on Twitter. A lot more you can do in a blog post than a short tweet. Wishing you a great 2014 and many happy travels.